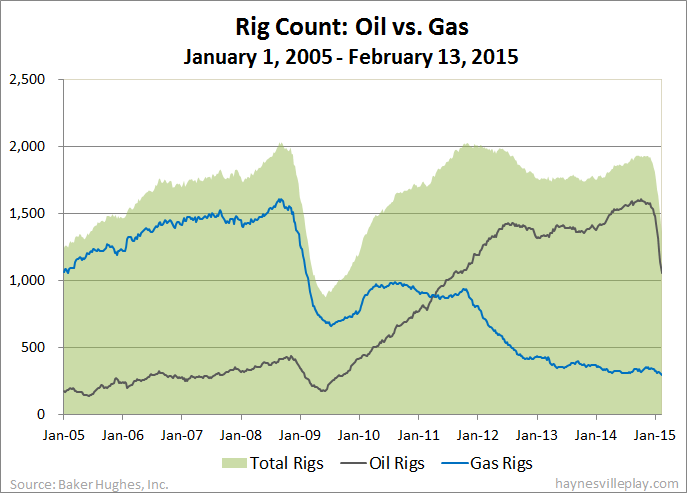 The Baker Hughes U.S. rig count was down big again this week, dropping 98 rigs to 1,358. Oil rigs were down 84 to 1,056, gas rigs were down 14 to 300 and miscellaneous rigs were unchanged at two. By type, horizontal rigs are down 63 to 1,025, vertical rigs are down 23 to 210 and directional rigs are down 12 to 123. Among gas rigs, horizontal rigs are down 11 to 228, directional rigs are up two to 44 and vertical rigs are down five to 28. Over the past ten weeks, oil rigs are down 519 rigs, or 33%. During that time, horizontal rigs are down 25%, vertical rigs are down 41% and directional rigs are down 38%.